The pinnacle of renovations, Unit 109 has been artfully reconstructed from the ground up, now boasting a contemporary coastal design. Hand selected high-quality furnishings pair effortlessly with the accompanied artwork. 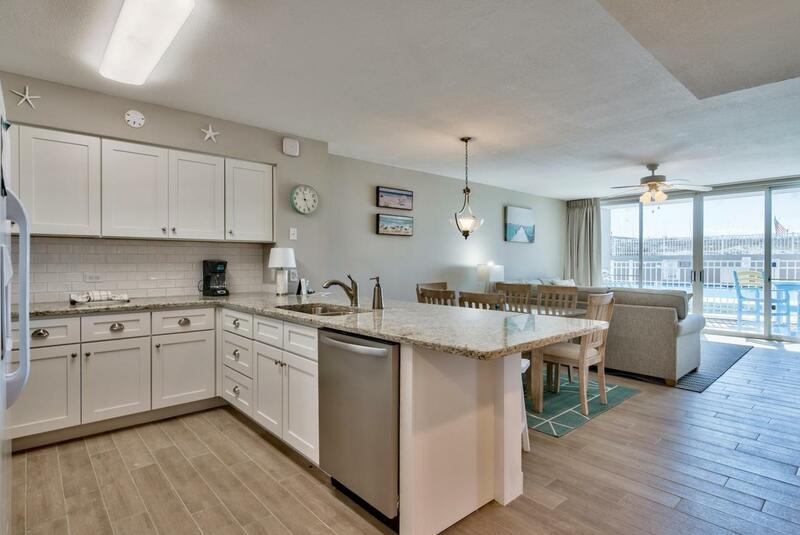 The exceptional kitchen features custom cabinetry with soft-closing hinges, sleek granite countertops, all new appliances, stylish subway backsplash and concluded with brush nickel fixtures. 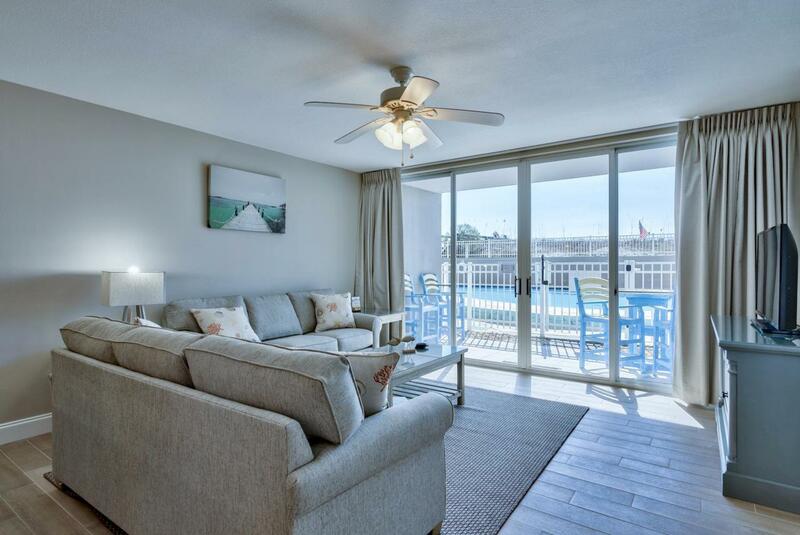 Unit 109 is located on the ground floor and has private gated access to the pool area directly from the patio, allowing for the easiest travel to and from the resort style pool, hot tub and the deeded beach access. Another noteworthy convenience of being positioned on the ground floor is easy access to the assigned covered parking spot. The master suite features a king bed,access to the patio and a sensational master bath. The master bath features a walk-in shower equipped with a bench and floor to ceiling tile. To keep a uniformed flow with the kitchen, the same granite and cabinetry are used in all 3 bathrooms. The guest bedroom features the same high-quality furnishing along with a custom closet. The improved closet features a built-in dresser with TV stand and a cloths rack with shelving. The last bedroom acts as a bunk room and comes equipped with a full on full metal bunk. In addition to the sleeper sofa, Unit 109 is designed to accommodate up to 10 people effortlessly. Traditionally, ground floor units produce some of best rental numbers in a complex and this is no exception; Unit 109 has annual income of over $44,000 pre-renovations. 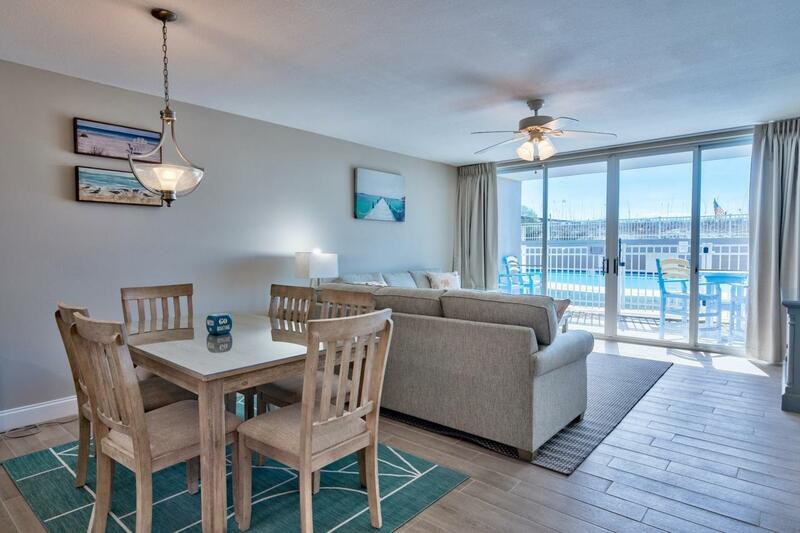 With the completed renovations, Unit 109 has rental projections surpassing $50,000 for 2019. 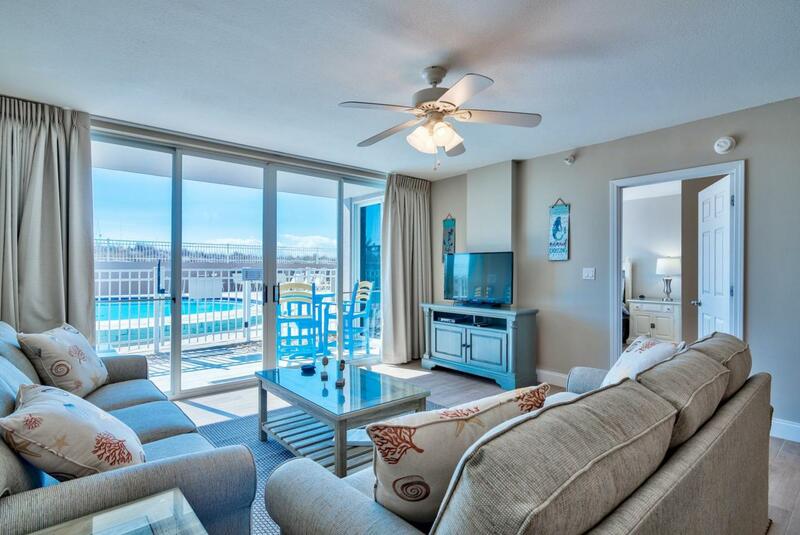 Island Princess is a gated community that is perched directly on The Gulf of Mexico. The complex is pet friendly and has world class amenities including a resort pool, hot tub, grilling areas and an exercise room.